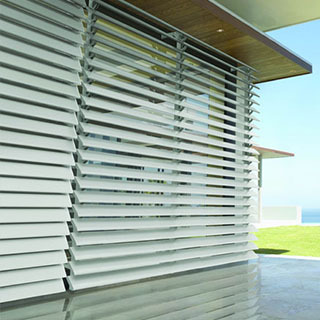 Luxaflex has your outdoor environment covered. 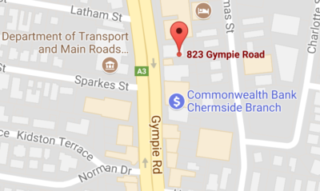 Their awnings fit windows of all shapes and sizes and are suited for a range of exterior settings, from terraces and patios to large entertaining areas. 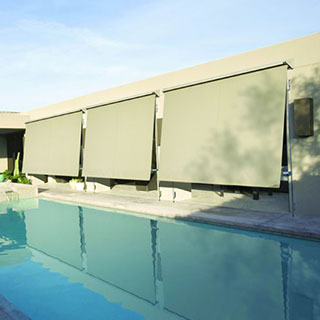 The range of popular Folding Arm Awnings include the Garda, Nisse, Como, Sunrain, Ventura and Ventura Terrace. 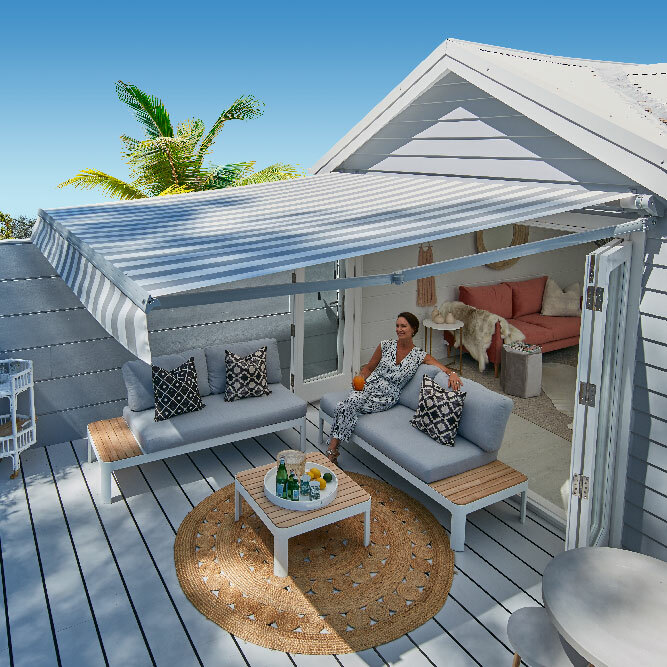 These retractable awnings are available with an amazing variety of options - including crank or motorised operation, integrated rain hoods, wind protection systems and sun and wind sensors. 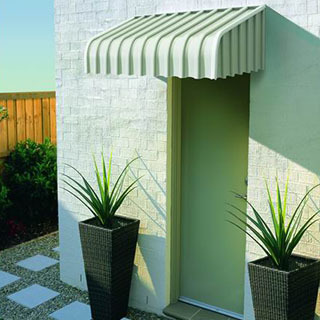 Luxaflex Canopy Awnings lend traditional charm to an outdoor area, and come in an assortment of styles and colours. 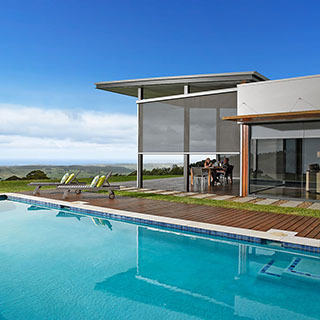 These awnings are designed to be long-lasting and low-maintenance. Evo Awnings represent the ultimate in design and function, providing UV protection, air flow control and ease of operation. The six Evo models come with many extras, including heaters, fabric valances and bottom rail brushes. 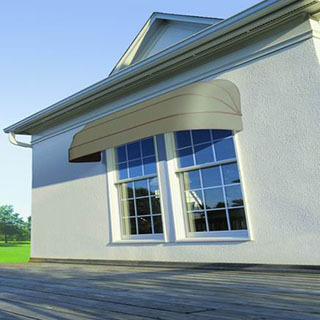 Or for the classic look, Luxaflex offers Fixed Metal and Metal Louvre Awnings. 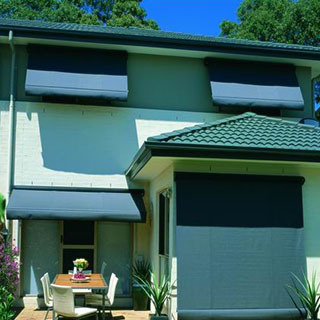 These aluminium awnings are great protection from the hot Australian sun. Looking for toughness and durability? Luxaflex® Metal Louvre Awnings are extremely effective in providing privacy, light control and air flow for balconies and external windows. 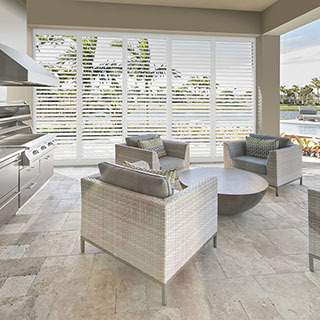 The proven HD COLOR-COTE® Paint System is extremely durable.